I began the early stages of working on the first draft of this newest, untitled book about 6 months ago. The material has been working me for the last several years while I’ve been actively teaching it, and, at last, I knew the time had come to attempt to put into the written word all that had been revealing itself. This work is based on a framework not before written about or even known about by many others called the EnneaCross.™ That it’s not just a new interpretation of previously published work, but a totally new expression and outgrowth of the Enneagram is one of the great challenges I face in writing. How do I invite you, my reader, to enter into it? Its origins came in 2013 when my close friend and colleague, Diana Redmond, and I were preparing for a conference session on paradox to be presented at the International Enneagram Conference. We had both long studied and taught the Enneagram as a vehicle for transformation and were well aware of the many paradoxes that are inherent in becoming more conscious. 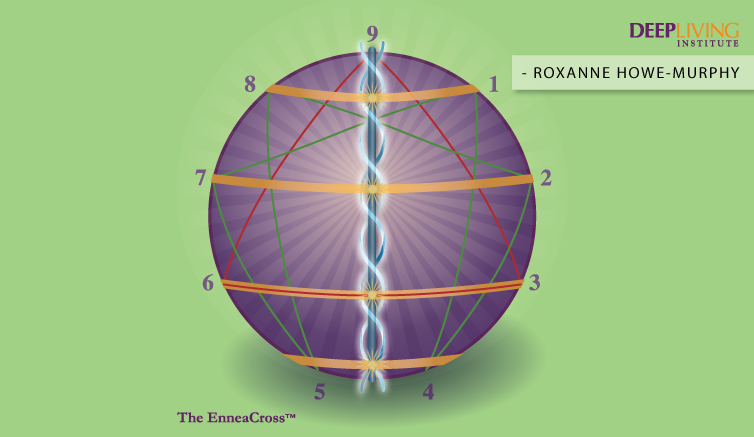 With my large Enneagram mat laid out on the living room floor and simply being with the question of how to approach our session, she and I were undeniably gifted to begin to recognize that something else was being shown to us. This ‘something else’ was, in fact, what we came to call the EnneaCross™, the integration of two powerful symbols of transformation. In Chapter One, I’m writing about its origins in more detail, our many doubts and initial skepticism of it, and the confirmations that gave us reasons to trust it. 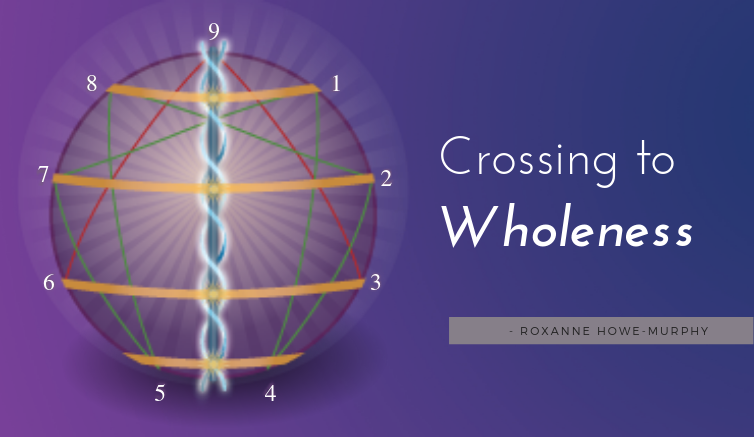 For me, the experience of ‘uncovering’ the EnneaCross™ was a powerful illustration that we all live in a dynamic, evolving world and that as human beings doing our best to be conscious, we acknowledge that, thankfully, we’re not in charge of the unfolding that is taking place. With the dismantling of the illusion of being in control, something else is being asked of us. From the beginnings, the EnneaCross™ has asked me to be on a trust walk with it. And what is conscious living after-all, if not a trust walk?